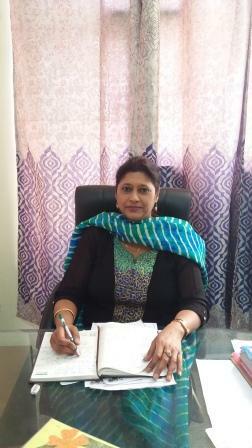 Mrs. Rajminder Kaur Jaitla: We at AKSIPS-65 Smart School, strongly feel that ever since its inception,the school has spread its wings, with a true spirit of its motto “Education is life”, to offer quality educational opportunities. The school boasts of a high number of notable scholastic and co-scholastic successes every year. We try to create an atmosphere of reverence for education and a healthy environment where academics, sports and co-curricular facilities mould our students and motivate them to be the brightest and the best. In order to do this, the school works towards inculcating certain values in the students in order to enrich their mind and spirit and also to develop essential moral attributes like truthfulness, courtesy, generosity, compassion, justice, love and trustworthiness in them. In short, we ignite minds with the spark called knowledge.